Alice is an innovative 3D programming environment that makes it easy to create an animation for telling a story, playing an interactive game, or a video to share on the web. Alice is a teaching tool for introductory computing. It uses 3D graphics and a drag-and-drop interface to facilitate a more engaging, less frustrating first programming experience. Developed by Tonchidot, a mobile application firm in Tokyo, the above demo video shows off the world’s first virtual tagging service for the iPhone: Sekai Camera, meaning “world camera” in Japanese. Tonchidot did reveal that Sekai Camera does not employ image recognition, but was elusive (language barrier or intentional?) about how the technology actually worked. This type of innovation is something to get really excited about, even if the above demo turns out to be just a proof-of-concept. It’s a prime example of the iPhone platform’s game-changing ability to push boundaries, and some foreshadowing into the bright future that awaits it. 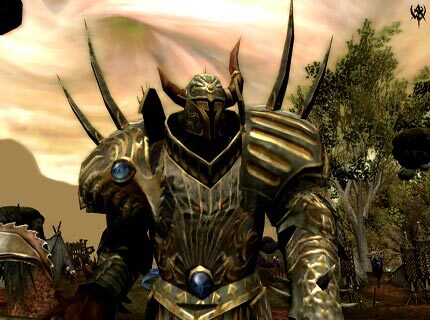 Mythic, the EA studio which has created Warhammer Online, has announced that over 500,000 user accounts have been created for Warhammer Online in the first week since launch. As the triumphant announcement states, "EA's most highly pre-ordered PC title, WAR has now become the fastest-selling new MMO of all time." This is a powerful vindication of EA's strategy of using an already highly recognisable brand for their MMO, rather than creating one from scratch. Perhaps more important, though, is that World of Warcraft's position at the top of the 3D MMO tree is not looking nearly as strong as it was a week ago. The game is called Trism, and it's an example of why – despite Apple throwing its toys out of the pram every time it sees an iPhone App it doesn't like – developers will continue to make quality software for the App Store. They look like something out of Star Trek, and they might well land in a classroom near you. They're school desks, but not as you know them, say their Durham University designers. 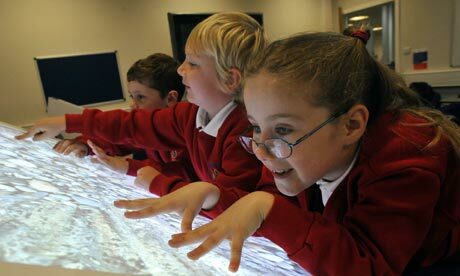 The interactive multi-touch desks look and act like a large version of an Apple iPhone. "The new desk can be both a screen and a keyboard. It can act like a multi-touch whiteboard and several students can use it at once," said Dr Liz Burd, who led the university's Technology-Enhanced Learning (TEL) group that developed them. "It offers fantastic scope for participatory teaching and learning," she said. The desks, which are networked and linked to a teachers' console, recognise multiple touches on the desktop, using infrared light. Several students will be able to work together, as the desks allow simultaneous screen contact using fingers or pens. Serious ROI In Serious Games? Forrester Research recently sent us a copy of “It’s Time To Take Games Seriously,” an overview of the burgeoning “serious games” industry. As the term suggests, these are video and computer games created to achieve practical, real-world outcomes, such as education or job training; consequently, it’s a space with an eclectic spectrum of players, from universities and NGOs to the military and for-profit corporations. Terms like educational games, game-based gaming, and social impact games don't sound too bad. But, Serious Games sounds awful! I mean, who wants to get serious about playing games (I want to relax and have some fun!). The name itself is capable of killing the joy of playing games before even wanting to. I suppose some innovative name rebranding could help to facilitate and globalize the idea of using games to facilitate the (formal) learning process. Though, I think the term 'Edutainment' is quite good. My favorite would probably be EduGames. But, I believe we have yet to discover an attractive term for educational gaming that reach the 'Yummy' factor. Taking a step that professors may view as a bit counterproductive, some universities are doling out Apple iPhones and Internet-capable iPods to students. The always-on Internet devices raise some novel possibilities, like tracking where students congregate. With far less controversy, colleges could send messages about canceled classes, delayed buses, campus crises or just the cafeteria menu. 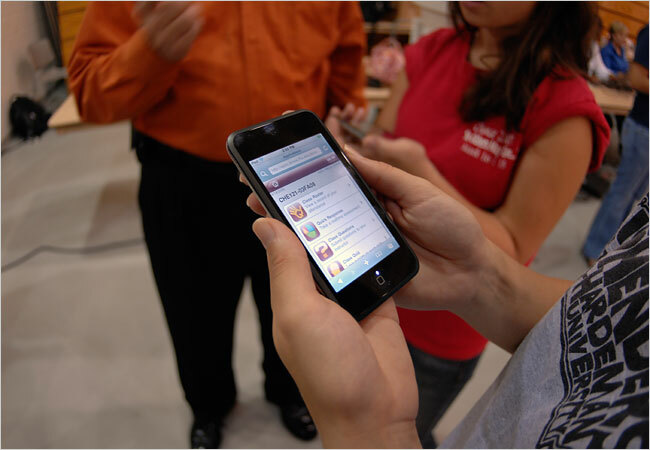 While schools emphasize its usefulness — online research in class and instant polling of students, for example — a big part of the attraction is, undoubtedly, that the iPhone is cool and a hit with students. Basking in the aura of a cutting-edge product could just help a university foster a cutting-edge reputation. When you see people at the office using such Internet sites as Facebook and MySpace, you might suspect those workers are slacking off. A social-networking site for the world of spying officially launches for the U.S. intelligence community this month. 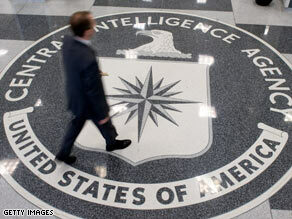 But that's not the case at the CIA, the FBI and the National Security Agency, where bosses are encouraging their staff members to use a new social-networking site designed for the super-secret world of spying. "It's every bit Facebook and YouTube for spies, but it's much, much more," said Michael Wertheimer, assistant deputy director of national intelligence for analysis. The program is called A-Space, and it's a social-networking site for analysts within the 16 U.S. intelligence agencies. An online game which shows how flooding could hit places such as London's Olympic Park and UK city centres without effective flood management has been launched. The Floodsim.com game puts the player in charge of flood policy decisions for the UK - from major infrastructure works to planting trees and providing sandbags - and then reveals what happens when flooding hits the country each year. 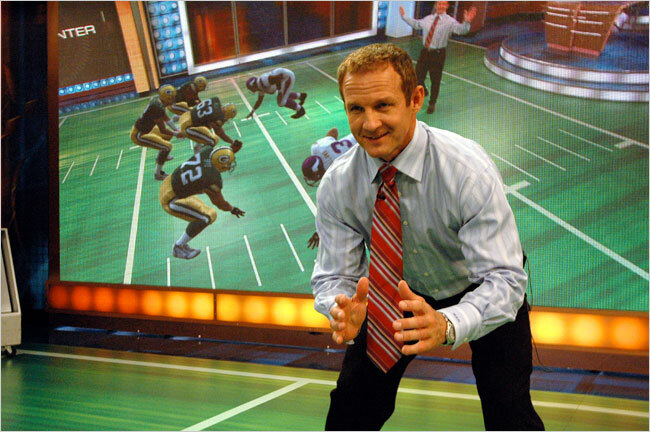 The network, which is owned by the Walt Disney Company, has spent the last year working on a new technology with Electronic Arts, the leading game publisher, that would allow ESPN commentators to interact live with realistic-looking, three-dimensional virtual players as they pontificate about coming matches during broadcasts. 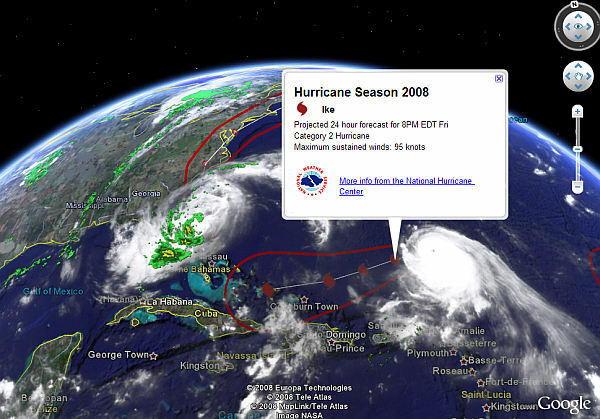 Google has just added a new sub-layer to the Weather layer called "Hurricane Season 2008". This layer contains position and forecasted paths for currently active Atlantic Hurricanes according to the US National Hurricane Center. Hundreds of kids games, geography games, math games, puzzles, and other educational games for kids, parents, and teachers. New kids educational games added regularly. To say that Wii has been a popular pastime is an understatement, but the release of Wii Fit this year has sent Wii’s popularity skyrocketing. Maybe it’s because Wii Fit has gamers and non-gamers alike intrigued and challenged with the fun fitness activities. Regardless of why so many are picking up their Wiimote, this game offers a unique opportunity to have fun with your console and get a start on better fitness. If you’ve decided to use Wii Fit to help you get in shape, take advantage of these suggestions to enhance your workout. Sony Corp. is releasing a new safari game this week for its PlayStation 3 videogame console that purposely steers clear of attributes found in most popular videogames: It has no shooting, little action, no winning or losing, and not even an ending. Players simply observe wild animals in the savanna and take virtual photos. But Sony is hoping that the game, called Afrika, will impress players with its advanced graphics. The developers, who spent nearly four years creating the game -- including two visits to Africa -- packed a fictitious national park with photo-realistic zebras, elephants, lions and dozens of other exotic animals. 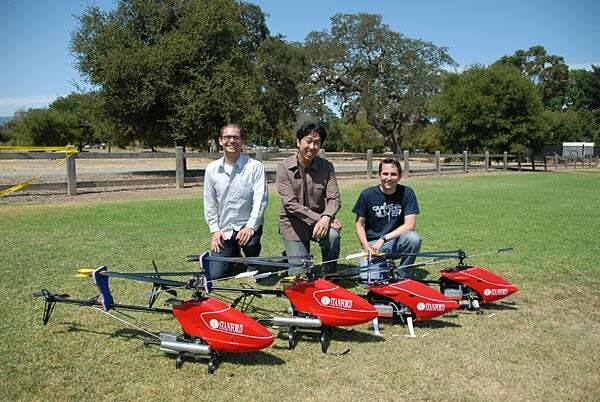 The result is an autonomous helicopter than can perform a complete airshow of complex tricks on its own. The stunts are "by far the most difficult aerobatic maneuvers flown by any computer controlled helicopter," said Andrew Ng, the professor directing the research of graduate students Pieter Abbeel, Adam Coates, Timothy Hunter and Morgan Quigley. Google Chrome: The new open source web browser - Is this the Google Web OS ? Big leap froward in browser design. Not just multi-threaded but multi-process to maximize speed and stability for web based applications. Tight integration with google gears for using web applications offline. Based on the webkit rendering engine, same render that is used by the Linux KBrowser and Apple's Safari ! Javscript executes in it's own virtual machine for added security and compiles rather than interprets code for improved performance. Much higher quality garbage collection than current VMs. Browser has it's own process manager, separate from the OS, that shows the memory and CPU usage of each browser process. Easily see and kill problem processes. All processes run in secure sandboxes. Page plugins (e.g. flash) run in their own processes separate from the page rendering process. Thus a plugin problem can not bring down the tab. UI centred around tabs at the very top of the window and pointing up. Each tab is a mini browser itself with its own controls and address bar, independent of other tabs. Web apps can be launched in streamlined windows without browser controls. The field of haptics - integrating computing and the sense of touch - has been around for some time but has required gloves or mechanical devices to impart a sense of feeling. Now, a team of Japanese researchers has developed a system that uses focused ultrasound to do the job. Its inventors may soon commercialise the approach. AS THE Democratic National Convention got underway in Denver yesterday, so, too, did a novel attempt to drum up interest in the American electoral process. Microsoft has tweaked its Xbox video-gaming consoles so that they can be used to register to vote in the presidential election and to participate in opinion polls and online forums. Part of an initiative to boost youth participation in this year’s election, Microsoft’s move shows how gaming technology can have an impact far beyond the narrow confines of a display screen. In a forthcoming book called “Changing the Game”, David Edery and Ethan Mollick argue that many skills and lessons from the gaming world are applicable in the business world. The smartest firms, the authors argue, will not only allow game-playing in the workplace, but will actively encourage it.